Let’s stop here, though, and flash back to Thor: The Dark World – the second in his standalone series – for just a moment. At the end of that film, it’s revealed that Loki is alive and well and posing as Odin, an imposter sitting atop the Asgardian Throne. A few minutes later, in the post-credits scene, Lady Sif and Volstagg bring the Reality Stone to The Collector. If memory serves, that’s the first time in the entire series that they mention the Infinity Stones by name, too, when Volstagg says the Tesseract is on Asgard, and it’s not safe to keep the two together. Presumably, Lady Sif and Volstagg were sent with that delivery by order of Odin – they’re not high-ranking enough to make a decision like that on their own. And since we just saw that Odin is now Loki pretending to be Odin, we can connect the dots here. Loki gave the Reality Stone to the Collector. So when Thor says, in response to the claim that only an idiot would do that, “Or a genius,” he’s making a snide remark in his own defense, because he’s actually Loki. Loki is posing as Thor throughout the entirety of Avengers: Infinity War. 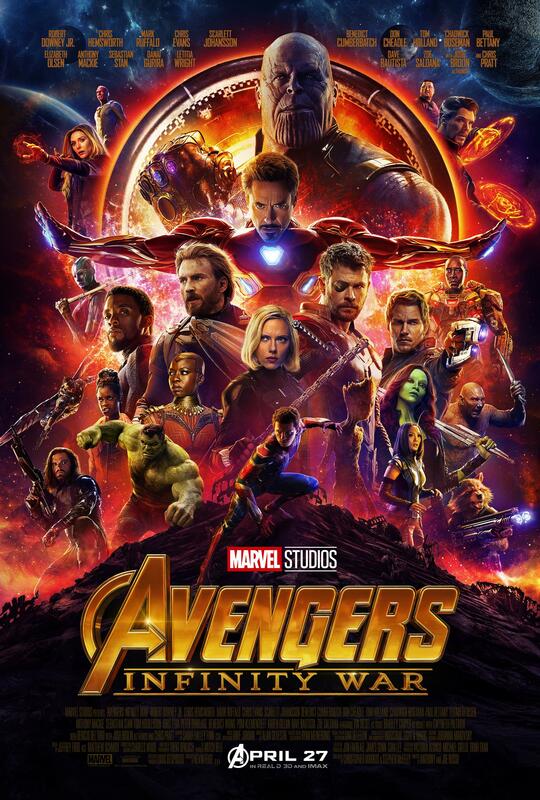 Back with the Guardians, as the scene on the ship continues, Rocket decides to join “Thor” in his quest to forge a new hammer, and the rest of the Guardians decide to go to Knowhere, to stop Thanos. Since when would Thor turn his back on a group of heroes going after the big bad guy? He’d go headlong into the fight without a plan and figure it out as he goes. He’s accusing him of doing the cowardly thing – running away from a fight. 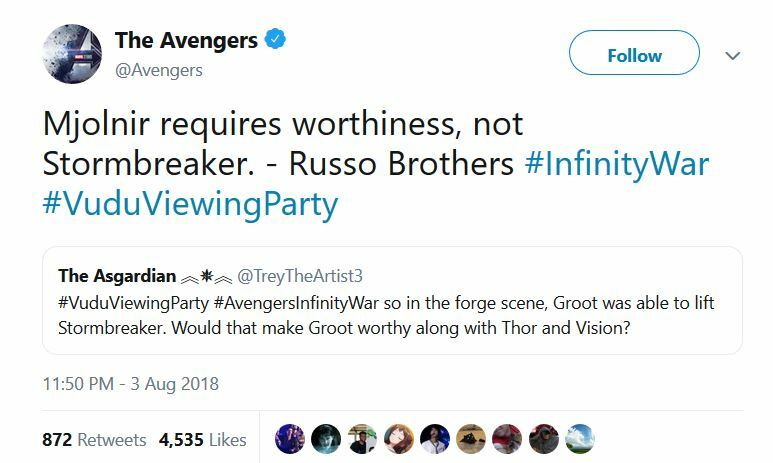 And Thor’s supposed to be way more virtuous than Rocket (a scoundrel if there ever was one), yet he’s leading the charge on this cowardly mission? Furthermore, Thor could’ve made a real difference if he’d teamed up with the Guardians of the Freakin’ Galaxy. But no, he has other plans. And of course he does. Loki has always been the type to hatch plans on his own. He doesn’t buy into all that teamwork nonsense. If somebody’s going to take down Thanos (and it’s going to be him), he needn’t waste his time with a bunch of peasants on their futile suicide quest. But, wait, you might say, if this is all actually Loki, and he heads off to forge a new magic hammer, would he even be worthy of wielding it? After all, he’s not virtuous like his brother. Ok, but after Loki forges his new magic hammer, what’s his plan from there? Most importantly, why is posing as Thor necessary for this plan to work? I think his plan has a few different components to it, like any good Master Plan. First, Thor is a beloved character. Loki, on the other hand, is a super-villain on Planet Earth. After what happened at the end of the first Avengers, he’s not welcome there. Last time he even visited, in Thor: Ragnarok, Dr. Strange had him in his Sanctum within a few minutes, wondering why he was there and wondering when he could leave. Posing as Thor gets all that heat off his back. Secondly, it also allows him to be in the right place at the right time, more likely than not, when the Avengers fight Thanos. Loki is going to steal the Infinity Gauntlet. Didn’t it seem a little too convenient, when he died in Infinity War? Didn’t it feel a little unresolved? Like we were waiting for the Prestige? We’ve seen him pull stunts before where we thought he was somewhere, but he actually wasn’t. Wouldn’t the God of Mischief have one last trick up his sleeve when the biggest bad guy in history shows up? I think we’d be wise not to underestimate him. Of course, one big part of this theory that’s missing is what actually happened to Thor. If Loki has taken his place during the events of Infinity War, how has he been keeping himself busy? For all we know, he’s still adrift in space somewhere with Valkyrie and Korg. Or maybe they’re concocting a plan of their own to bring Thanos down. Or maybe they’re in on Loki’s plan, and he really is reformed, and whatever they’re doing is working in concert with Loki. The point is, I don’t know. I don’t know any of this! But I almost feel bad for writing it. I don’t really want to post it. I feel like this theory fits so well that I might actually be spoiling one of the biggest twists of the entire franchise. The main point I want to emphasize here, though, is that this is purely, 100% speculation. I also think I’m going to be proven completely right. Still aren’t convinced? Keep reading. Head on over to Part II to see what Loki’s plan is all about.